Friday’s Five Favs ~ Weekend Views! Posted by Raven Bower on June 15, 2012 in News, Uncategorized | Comments Off on Friday’s Five Favs ~ Weekend Views! Deep Sea ~ Narrated by Academy Award nominees Johnny Depp and Kate Winslet and produced by the makers of the IMAX movie Into the Deep, this stunning film is an exploration of the world beneath the sea and its bizarre and exotic inhabitants. From translucent jellyfish to giant octopuses to scorpion fish, viewers will be introduced to a host of unique creatures, all completely dependent on one another for their survival. 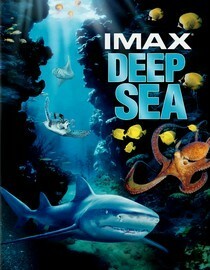 See my review of Deep Sea here. Red Water ~ While looking for a new energy source on the shores of a Louisiana river, a divorced couple put their differences aside. But their efforts are disrupted by a pair of thieves trying to retrieve pilfered treasure that lies at the bottom of the stream. 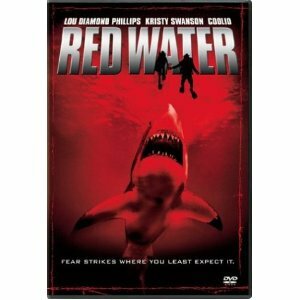 See my review of Red Water here. 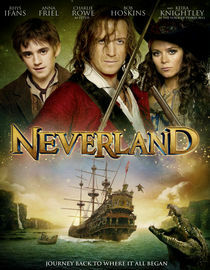 Neverland ~ In Victorian-era London, young Peter belongs to a gang of pickpockets run by enterprising criminal Jimmy Hook, and when they are all whisked off to a magical land inhabited by tree spirits, they find themselves competing with pirates for treasure. 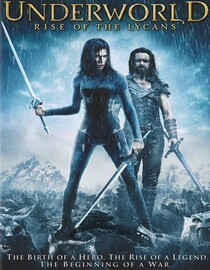 Underworld, Rise of the Lycans ~ A prequel to the first two Underworld films, this fantasy explains the origins of the feud between the Vampires and the Lycans. Aided by his secret love, Sonja (Rhona Mitra), courageous Lucian (Michael Sheen) leads the Lycans in battle against brutal Vampire king Viktor (Bill Nighy). Determined to break the king’s enslavement of his people, Lucian faces off against the Death Dealer army in a bid for Lycan independence. Review to come. Note, it’s best to watch this one first, then Underworld. Again, I’m not a huge fan of prequels but do make exceptions if they’re really good and this one is! Underworld ~ Vampire “death dealer” Selene suspects that her mortal enemies — werewolves known as Lycans — are targeting a human named Michael. As she shadows Michael, she finds herself falling for him … even after he’s bitten by a Lycan.